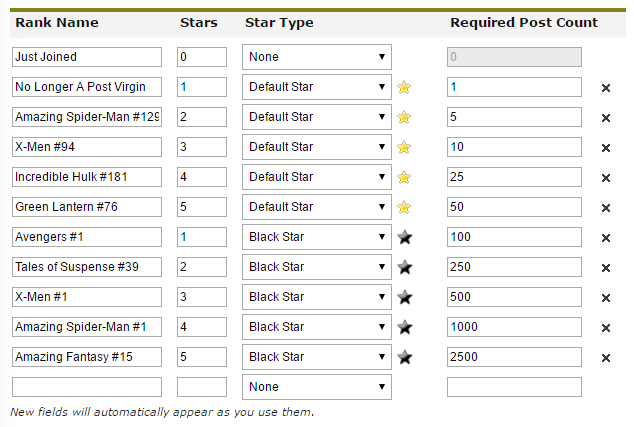 I was asked what the stars in the profiles mean. This can be changed. But this is how it's currently set up. Last Edit: Nov 2, 2016 9:45:18 GMT -8 by J.A.R.V.I.S.